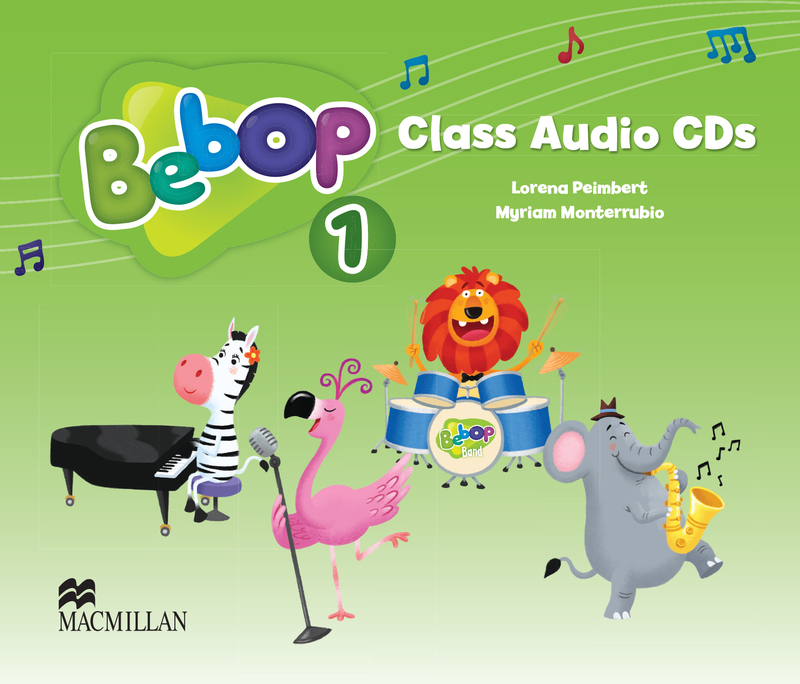 The main role of the Bebop Class Audio CDs is to provide the students with the aural input needed to use the Student’s Book effectively. The Audio CDs contain the audio recordings for the exercises from the Student’s Books and the music program, which includes the Storysongs and the Action Songs. Lively voiced audio recordings that students will want to hear again and again. The Bebop Band song, with special introductions to the Bebop Band characters. All the exercises for the entire Student’s Book are clearly labelled for ease-of-use.